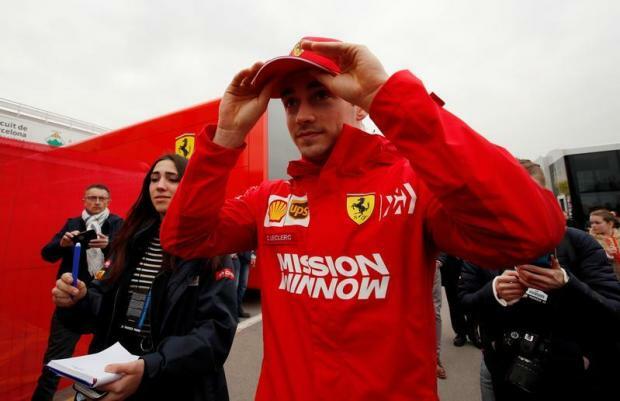 Ferrari unveiled a 90th anniversary logo for Formula One's season-opening Australian Grand Prix on Wednesday after ditching branding by a tobacco giant's subsidiary over a potential breach of cigarette advertising laws. Il logo celebrativo della Ferrari mi ha aggrada moltissimo,dato che sono un tipo a cui piace cercare di dare un significato del tutto personale anche a ciò che non si vorrebbe trasmettere. "The name of this year's car, the SF90, is already a celebration of this anniversary and, on top of that (we have) decided to honour this achievement in an even more evident manner in Melbourne," Ferrari said in a statement. "Over the Australian Grand Prix weekend, the SF90 livery, the drivers' race suits and some of the team's track equipment will bear the logo celebrating 90 years of the Scuderia." They were featured on its livery during the Japan Grand Prix, sparking an investigation by Australia's communications regulator over whether TV broadcasts of the race breached its ban on tobacco advertising. Philip Morris last week agreed to drop the branding for Australia, but said it continued to believe it "complies with relevant laws related to our activities around the world". Formula One's governing body, the FIA, is opposed to any advertising or sponsoring of cigarettes or tobacco, as are a number of countries staging races.